From March to July 2015, the Centre for Medieval Studies will be welcoming Professor Susanne Wittekind, an Art Historian from the University of Cologne. Professor Wittekind is a specialist in Spanish medieval art, and in particular juridical amnuscripts and illuminated charters, liturgy, relics, reliquaries and the cult of saints. While in York, she will be working on a project entitled The Visual Order and the Representation of Law in Medieval Charters and Manuscripts. Looking at 10th to 14th century illuminated charters and different kinds of legal manuscripts from the British Isles and Iberia, Susanne will be comparing the ways in which such documents were organized and images were embedded in the text. Here is a video report on the Custody of the Holy Land exhibition and conference in which Michele Campopiano played a key role. 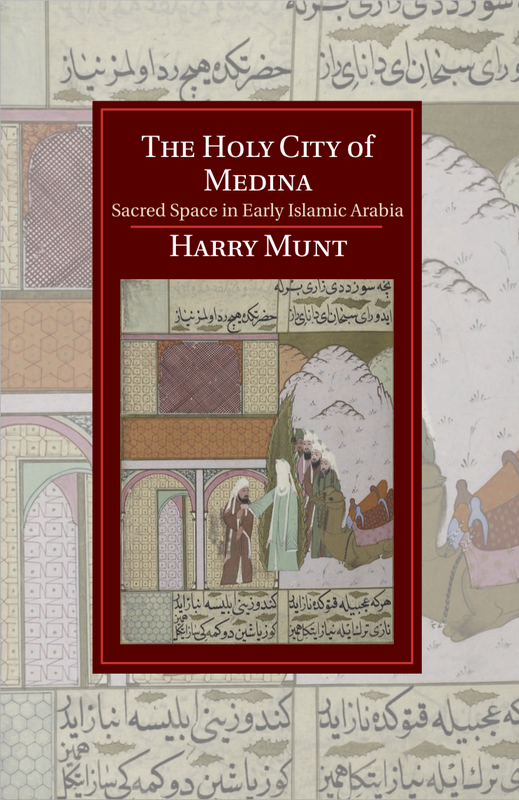 We are delighted to announce that Harry Munt, our new Lecturer in Medieval History, has just published the first book-length study of the emergence of Medina, in modern Saudi Arabia, as a widely venerated sacred space and holy city over the course of the first three Islamic centuries (the seventh to ninth centuries CE). This was a dynamic period that witnessed the evolution of many Islamic political, religious and legal doctrines, and the book situates Medina’s emerging sanctity within the appropriate historical contexts. The book focuses on the roles played by the Prophet Muhammad, by the Umayyad and early Abbasid caliphs and by Muslim legal scholars. It shows that Medina’s emergence as a holy city, alongside Mecca and Jerusalem, as well as the development of many of the doctrines associated with its sanctity, was the result of gradual and contested processes and was intimately linked with important contemporary developments concerning the legitimation of political, religious and legal authority in the Islamic world. Having studied early Anglo-Saxon coinage for more than two decades and published a number of books on the subject and organised biennial symposia, Tony Abramson is now researching the monetization of Northumbria in the early medieval period. There were a number of phases to the re-introduction of coinage to England. As illustrated by the purse at Sutton Hoo (deposited c.AD630), the first phase consisted largely of Merovingian gold tremisses derived from late Roman coinage. Dating from a decade or so after that grave deposit, the Crondall hoard from Hampshire demonstrates that an assortment of English gold shillings (‘thrymsas’) now dominated the circulating medium. Northumbria followed this general pattern; Merovingian gold tremisses have been recovered locally as have 15 gold shillings attributed to York and dated to the mid seventh-century. By the 670s, the gold content of coins had reduced significantly and Merovingian silver deniers were in circulation. At this time the domestic emissions consisted of a pale-gold (c.4%) transitional coinage for a decade or so before the English silver proto-penny (‘sceat’) appeared. This was part of a common, vastly expanded silver coinage which circulated throughout the entire North Sea trading zone. Between 685 and 750, it is arguable that around 100 million ‘sceats’ were produced and Tony has catalogued more than 630 main varieties. Aldfrith of York (685-704) was the first monarch to be named on this new coinage, and the Northumbrian coinage is distinguished by its literacy and consistency. In the mid-750s, the northern and southern English coinages diverged. The latter followed the Frankish move to the familiar medieval broad penny/denier – probably influenced by eastern currency. However, Northumbria (in common with Frisia and Denmark) stuck to the small flan ‘sceat’ for at least another half-century. Around 830, the northern ‘sceat’ was replaced by a brass coin – the ‘styca’ – of the same size, which was made in huge numbers until the Viking Great Army – the micel here – captured York in 866/7. It is only in recent years that numismatists realised that this ‘widow’s mite’ was not to be denigrated, but marked the penetration of coinage to all levels of society for the first time since the departure of the Romans. Northumbria was again monetized, if only briefly. Tony will give a brief, yet profusely illustrated, overview of Northumbrian history and coinage of the period, before describing the quantitative and qualitative methodologies he has developed in the first year of his study. Where Are They Now (part 1)? Welcome to the start of the Medieval Film Club’s long and undistinguished programme! This Friday we congregate in convivial conditions to concatenate: swallows, coconuts, the Book of Armaments, killer rabbits, moistened bints lying around in ponds distributing swords (no basis for a system of government), women who weigh the same as ducks, Robin’s minstrels, peril, flesh wounds, swamps, Ni, your dead and 142 Mexican Whooping llamas. If you don’t recognise these marvellous components, then come along this Friday evening at 6pm to the first Medieval Film Night of the year – you are in for un cadeau [‘a present’]. 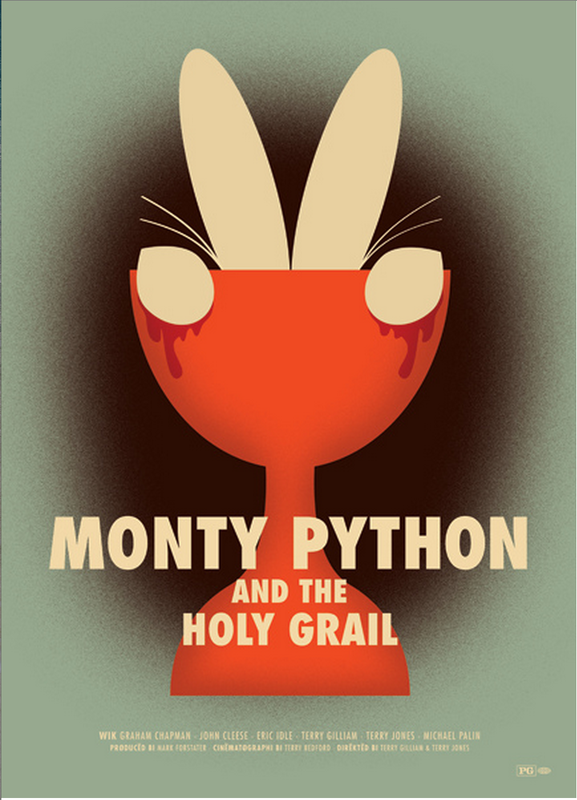 17 October – Monty Python and the Holy Grail (Gilliam/Jones, 1975) Come and see the violence inherent in the system! For ever a classic. 31 October – First Knight (Zucker, 1995) I dub thee, Sir Lancelot du LA. 14 November – Time Line (Donner, 2003) 111 minutes of your life you’re never getting back. 28 November – Braveheart (Gibson, 1995) The Medieval St Andrew’s Day Film! or the Medieval Horror Film! 5 December – The Lion in Winter (Harvey, 1968) The Medieval Christmas Film! 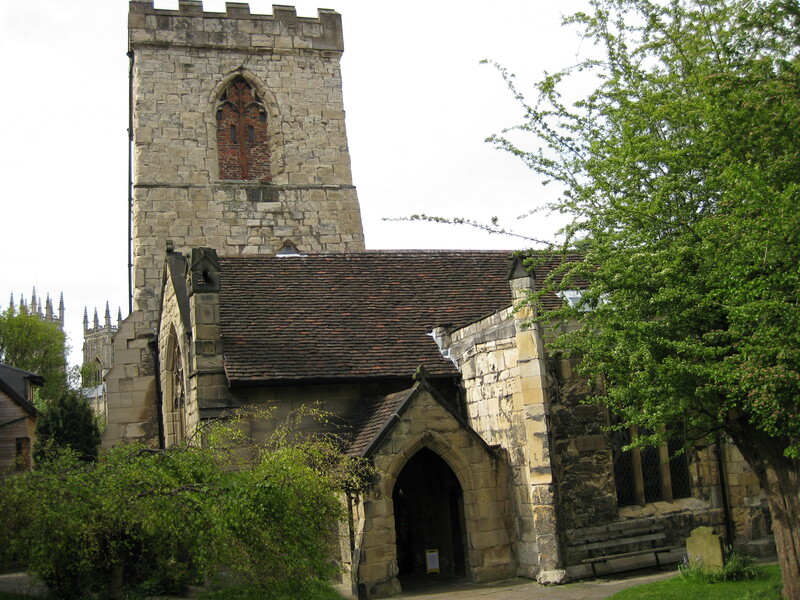 Graham White of the Churches Conservation Trust will be leading the first meeting of the Parish Church Discussion Group at Holy Trinity church in Goodramgate on Tuesday 21 October at 7pm. There will be a tour of the church and look at the history and archaeology of this fantastic building. Then the group will discuss the various topics for the programme of discussion over the coming year and where to meet in subsequent weeks (somewhere warmer and with a bar!). For more information, please contact Graham White on 07776 254242 or email him at gpw@libervitae.co.uk for more information. 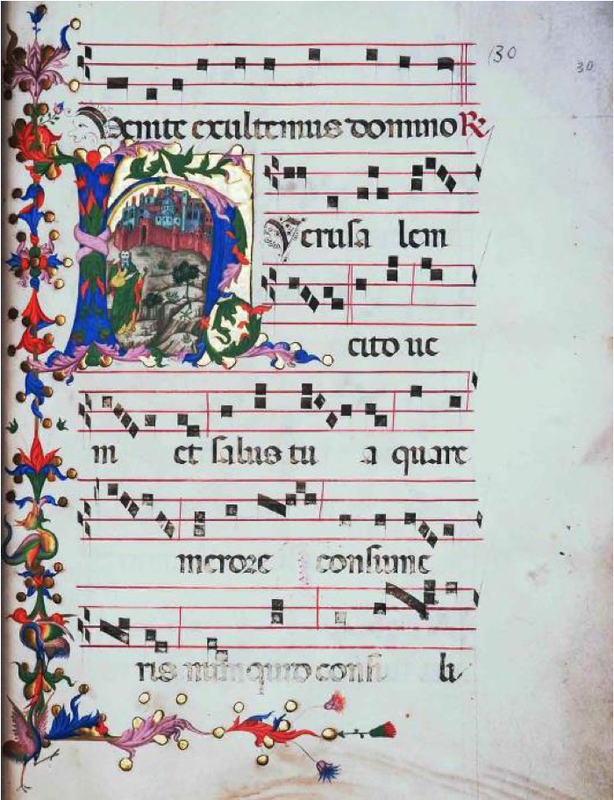 On 23 October 2014, Dr. Michele Campopiano (Department of English and Related Literatures) will be giving a lecture on ‘Writing the Holy Land: Manuscripts and Texts from the Franciscan Convent in Jerusalem (1333-1530 ca)’ at the Custodial Curia at St. Saviour’s Monastery in Jerusalem. The Library of the Custody of the Holy Land in Jerusalem houses one of the most valuable libraries of the Franciscan Order. 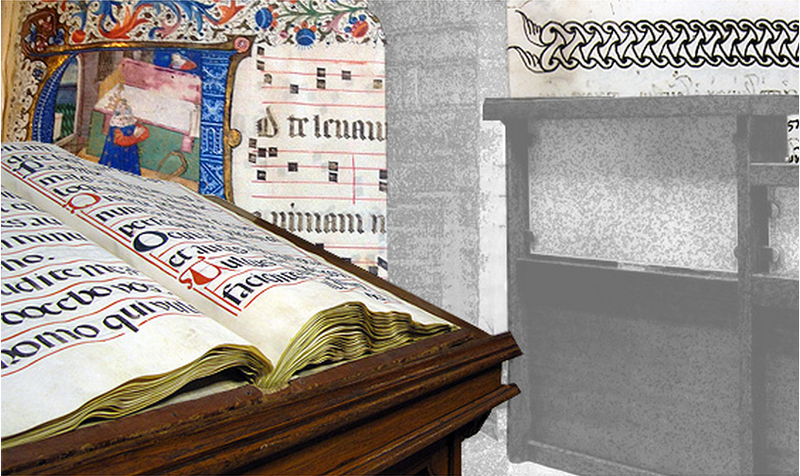 Since the thirteenth century, the sons of s. Francis have built an important library containing of more than five hundred manuscripts dating from the eleventh century to the modern era. In the past few months, the inventory of the collection of more than a half thousand manuscripts dating from the Eleventh century to the modern era has been completed, an is now available on the web: Manuscripta Franciscana Hierosolymitana. This new resource will be publicly launched on 23 October 2014 in the Library of the Custody of the Holy Land in Jerusalem. An exhibition will display thirty-six precious manuscripts in the Arabic, Armenian, Hebrew, Ethiopian, Greek, Latin, Syriac alphabets, some of which are richly illuminated. Michele Campopiano will then present his lecture. The event is part of the project “Books bridges of peace” by the European Research Centre Book Publishing Library (CRELEB) of the Catholic University of Milan, supported in particular by ATS pro Terra Sancta. What do you get when the Archaeology Research Forum, the Viking Studies Research Group and the York Heritage Seminars (YOHRS) combine for a seminar…? In 2012 and 2013, members of ‘Pagan’ metal bands Týr and Heidevolk visited the Kings Manor to give research seminars on their cultural influences. 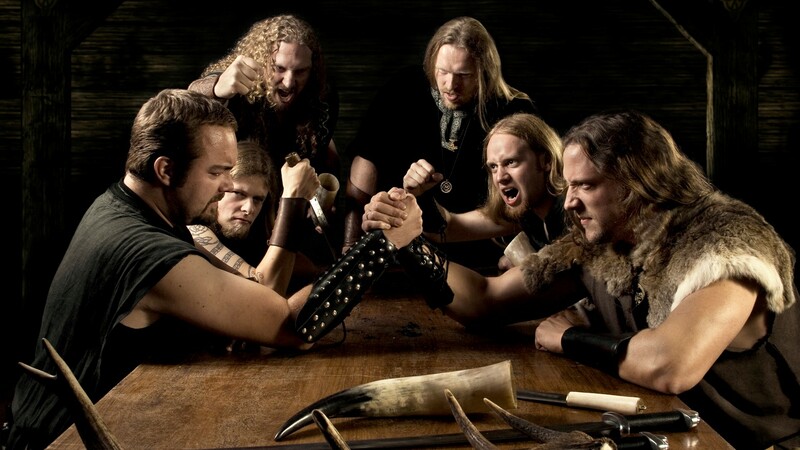 In 2012, for example, Heri and Kári, singer and drummer of folk metal heavyweights Týr, explained (and illustrated with samples), how their work was strongly influenced by Faroese chain dancing and other folk music, West Country heavy metal, and Norse legends. The discussion ranged far and wide, including the genetics of the Faroes, Scandinavian rivalries, religion, and vegetarians; vegetarians did not come out of this very well. Finally Heri entranced the audience with a solo rendition of a Faroese folk song. The seminar was recorded by YOHRS and is now available for download on www.varmintshow.net. For the second seminar by the band Heidevolk, see this Youtube clip. These events are now documented and given context in a publication by Steve Ashby and John Schofield. Their paper, ‘Hold the Heathen HammerHigh: representation, re-enactment and the construction of ‘Pagan’ heritage’ is now online in the latest International Journal of Heritage Studies. 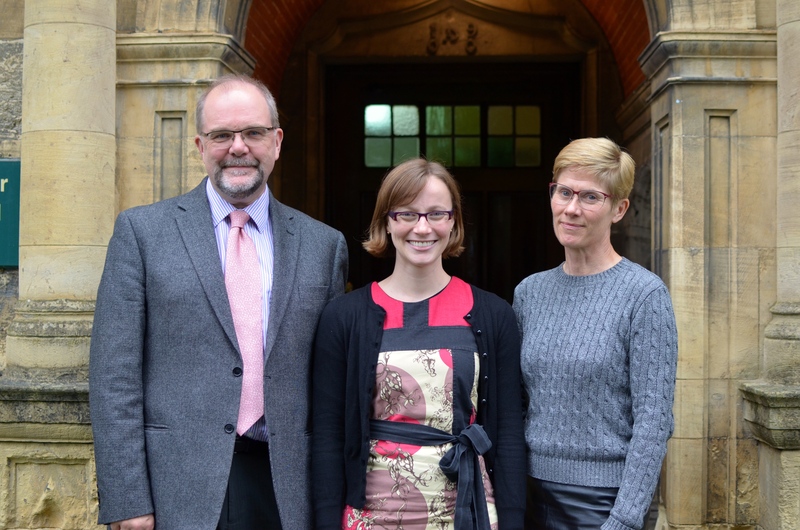 Many congratulations to our newest PhD in Medieval History, Dr Kristin Bourassa! Kristin came to York after her MA in Medieval and Renaissance Studies at the University of Ottawa and has been funded for her PhD by a prestigious Canadian Social Sciences and Humanities Research Council (SSHRC) doctoral award. Kristin has written her doctorate on Counselling Charles VI of France: Christine de Pizan, Honorat Bovet, Philippe de Mézières, and Pierre Salmon. This dissertation examines four vernacular books of advice given to King Charles VI of France (1380-1422): Philippe de Mézières’ Songe du vieil pelerin (1389), Honorat Bovet’s Arbre des batailles (1389), Christine de Pizan’s Chemin de long estude (1402-3) and Pierre Salmon’s Dialogues (1409, with a second version in 1412-15). 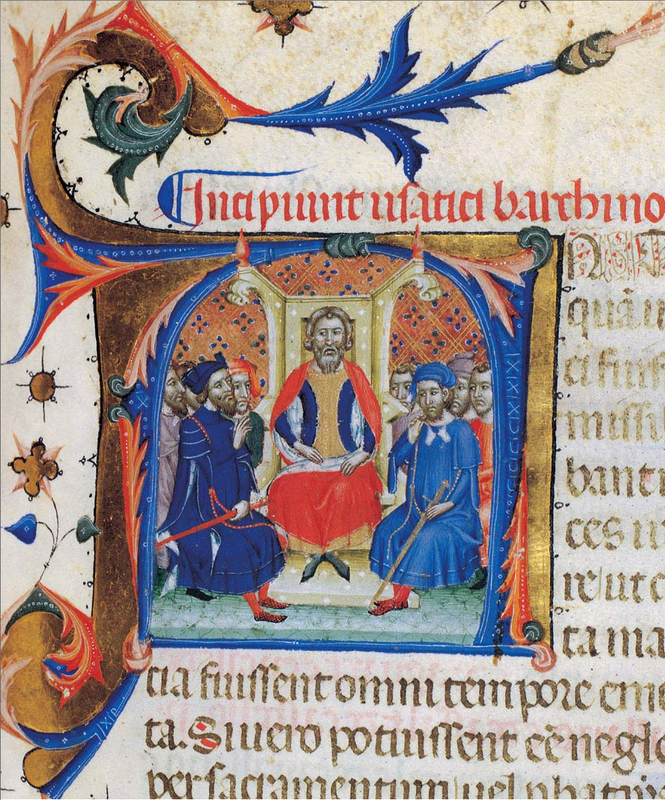 As a study of political advice literature, often referred to as mirrors for princes, the doctorate looks at these particular texts and their surviving manuscript copies, asking questions about the political engagement of late-medieval French writers, the expectations of both rulers and their counsellors, the intended audience of these texts, and the reception of them in manuscript form. Kristin is currently completing an article entitled “Reconfiguring Queen Truth in BnF Ms. fr. 22542 (Songe du vieil pelerin)”, to be published in the proceedings of a conference held in Orleáns in 2013, to which Kristin was an invited, funded speaker. 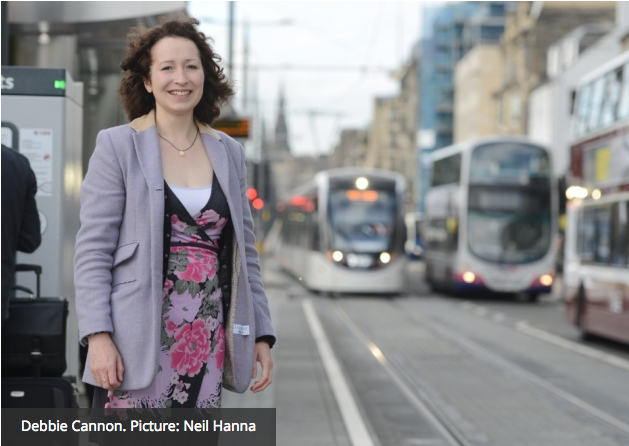 She will shortly be taking up a Post-Doctoral Teaching Fellowship at the University of York.